SUPPLIES: Gumdrops and Toothpicks. Separate these into groups of 14. Make little “gumdrop kits” which will include: 14 gumdrops, 14 toothpicks. Each child will receive a “gumdrop kit” which is made up of: 14 gumdrops, 14 toothpicks. Once everyone has their kit, instruct the group to build “whatever they want” but, remind them that they are restricted to these 14 gumdrops and 14 toothpicks. Our Valentine’s gang was so enthusiastic, I couldn’t show all of our examples and recommend having a second and third “gum drop kit,” prepared for each in your group so that they can make more than one. Can you see, bottom center, that this is a swing that truly swings. Gumdrop pyramid: Have you ever built a gumdrop pyramid, like one shown on the second row and on the bottom, left corner? My daughter picked this up from an ultra, creative, and talented, friend, FJ, who had visited the Stockholm Architect Museum and had seen it there! I was so happy when our daughter came home from their house with this cool creation! I ‘ll share a how-to for this, in a post later. If you already know this pyramid technique, then, once the kids have finished their “14 GUMDROP PROJECT,” get out more gumdrops and see how high they can build a gumdrop pyramid. Aren’t they beautiful? In Sweden, Valentine’s Day isn’t celebrated the same way it is in the US. Here, it’s more about adult romantic love than children’s card exchange. I like our children to have the best of both worlds, so every year since they began pre-school, I’ve gone to the kid’s classrooms or pre-schools to throw a little Valentine’s Day party for the classes. It’s such a fun cultural exchange and the kids really appreciate it. We make Valentine’s Day mailboxes and Valentine’s Cards together. 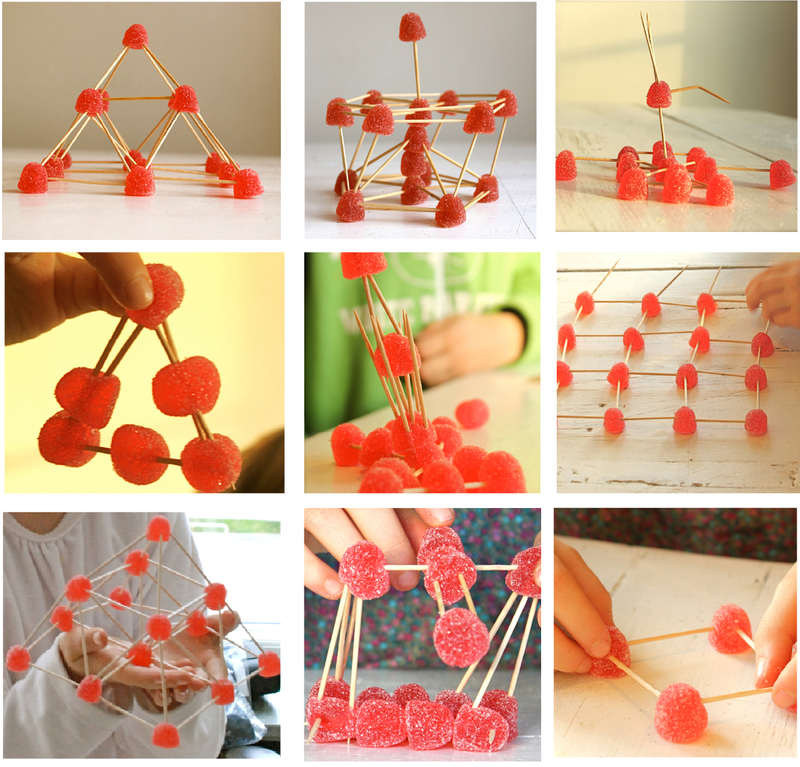 This gumdrop activity is something I will be taking in to their classes this year.